Awhile back all three children were happily making things at the dining room table. At some point, they stopped (I must have told them to clean up, but I’m not sure). When I came later to inspect the dining room table, I discovered it was completely clean. The kids actually put everything away properly. Because I want to encourage an emerging skill (clean up), I opted not to tell them at all that I cleaned up the floor. They had no idea it was a problem. They were likely satisfied that they had done a good job cleaning up, and I wanted to leave them with those positive feelings about being responsible. There will be other occasions where I have them clean the floor, too. This just wasn’t one of them. What biblical principles bear on this situation? 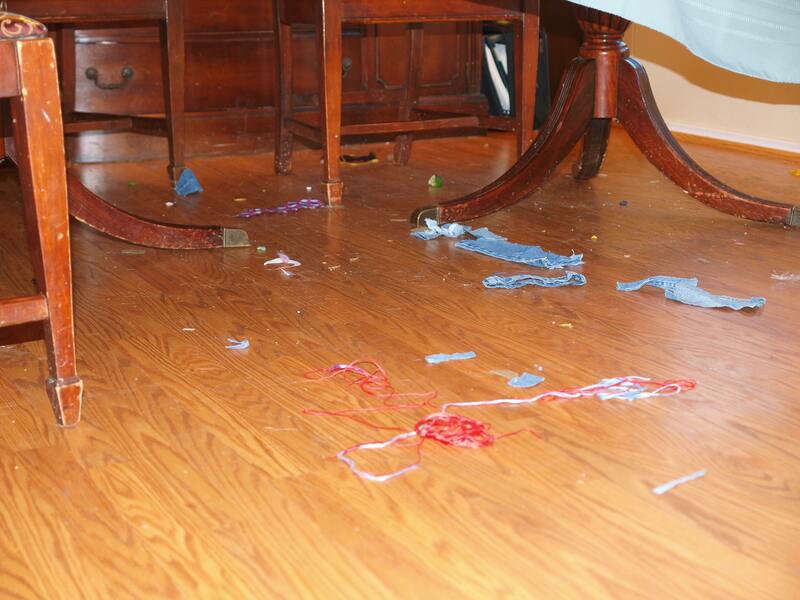 What other scriptures can you think of that might be relevant to the messy floor? I love your response and the principles you used to formulate your response. I appreciate how you’ve influenced me to think this way! Addy! Thanks for your encouragement. I love to see how biblical principles work out in your personality and life! We really need to find a way for a coffee date someday!